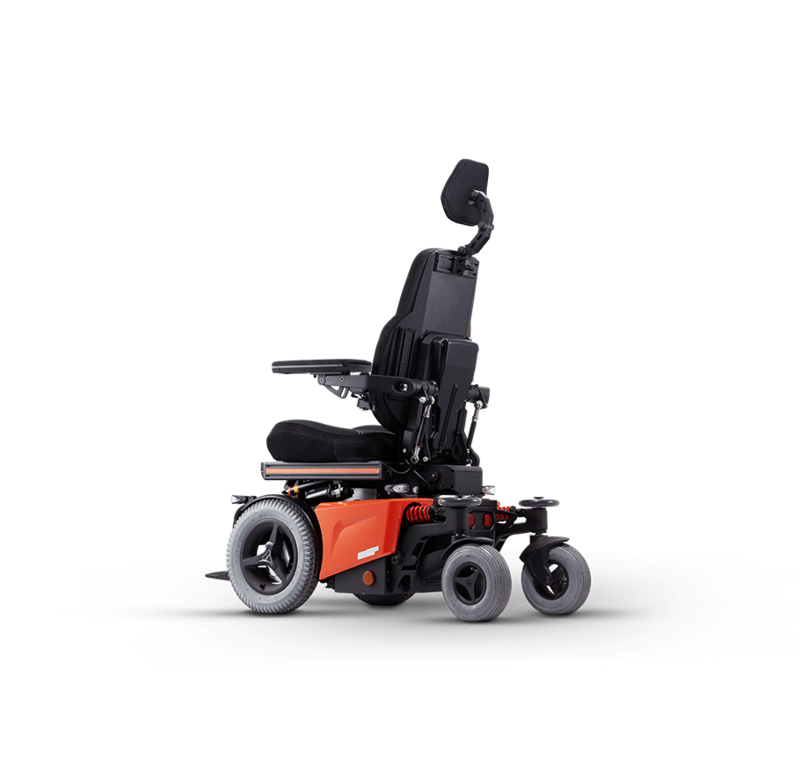 The EVO Lectus (EVO-LTS) is engineered to the exact specifications of the wheelchair user. 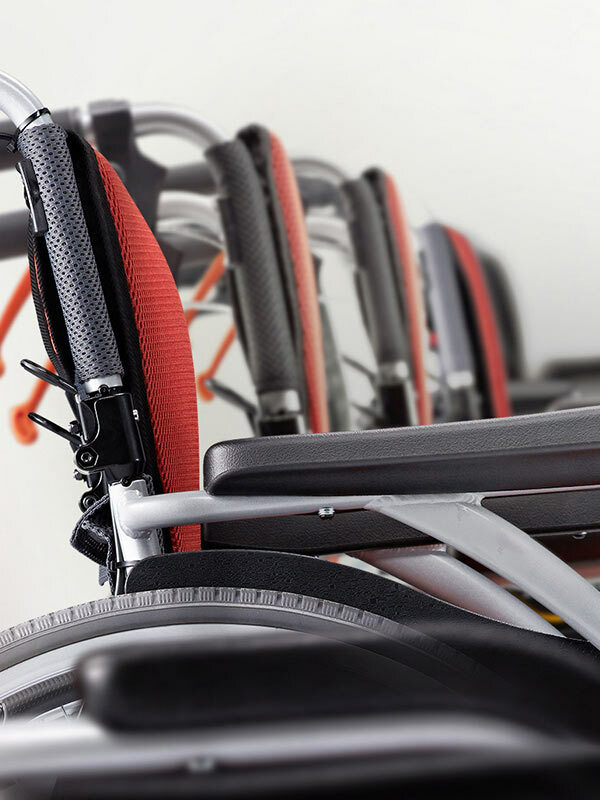 The full-scale adjustable LECTUS seat system can be completely set-up to the needs of the user. 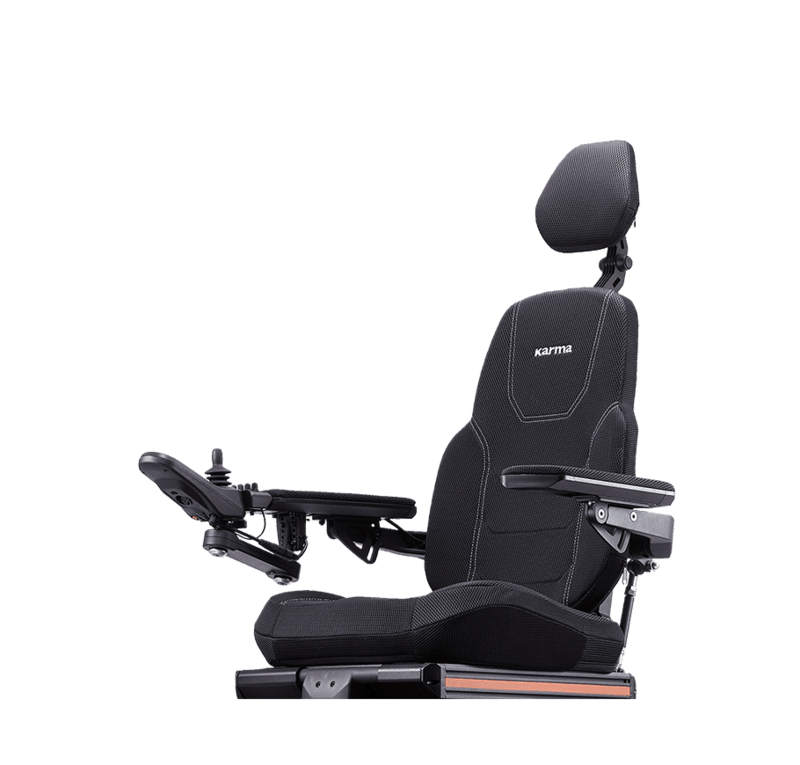 Find the best possible sitting position with the power recline and the power legrest. 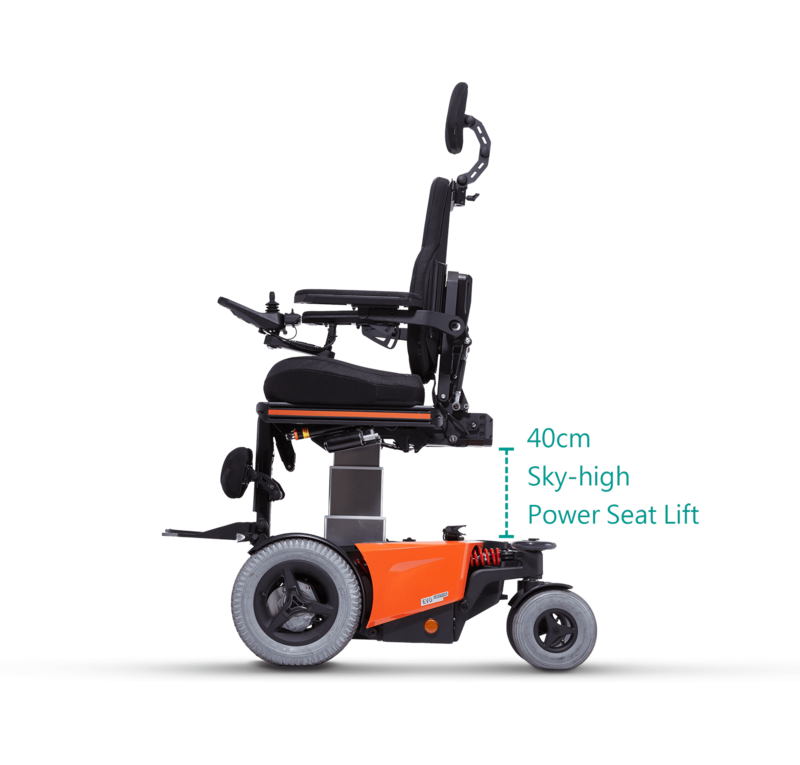 Additionally, the “sky-high” power elevating seat provides an amazing 40 cm of lift! 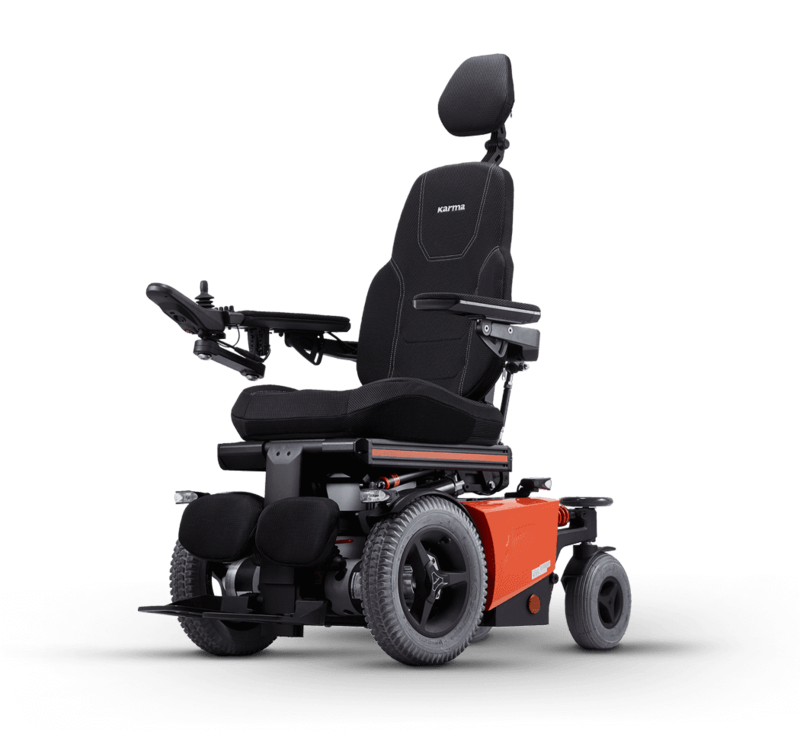 The front-wheel-drive makes the chair very maneuverable and able to handle many different terrains. Combined with its compact size, excellent speed range, and high battery capacity, the EVO Lectus is suitable for both indoor and outdoor use. 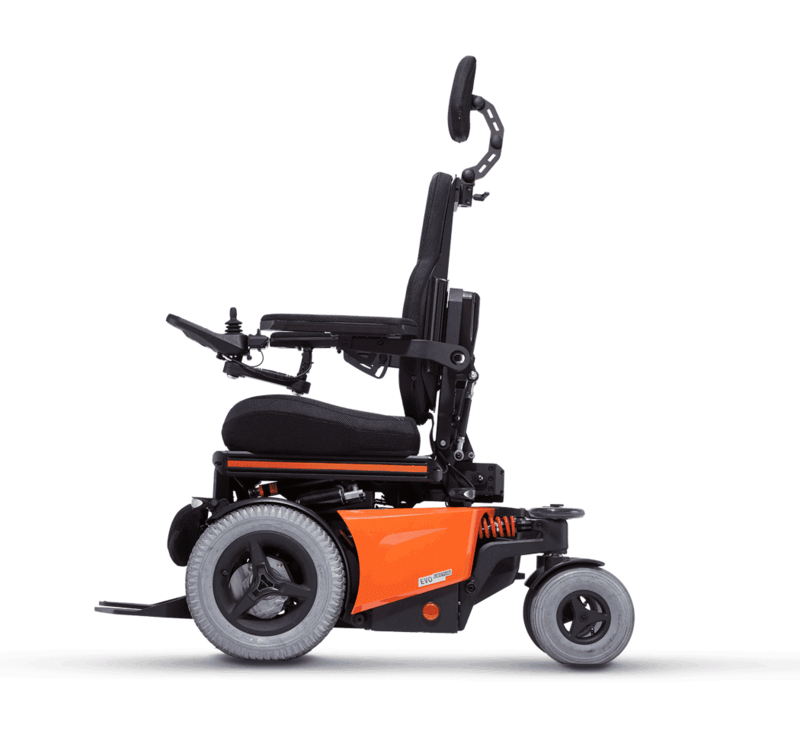 The strong and compact EVO chassis is equipped with a fully adjustable 4-wheel suspension system. 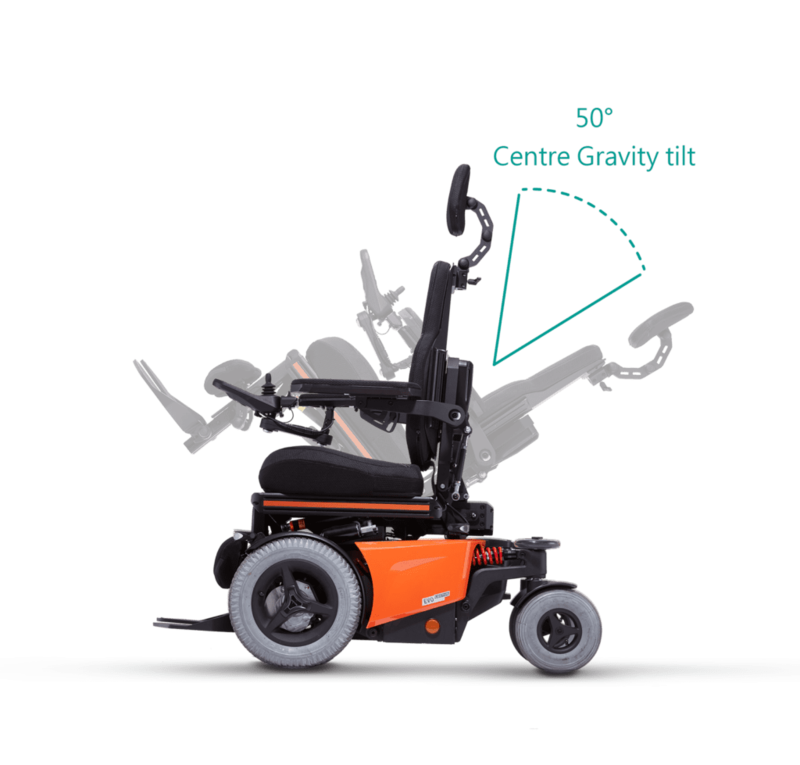 The stiffness of the suspension can be configured according to the user’s weight, thereby providing the most comfortable ride possible. 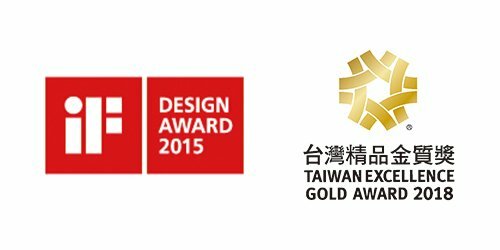 The seating system is designed to optimize the seating comfort of the user. 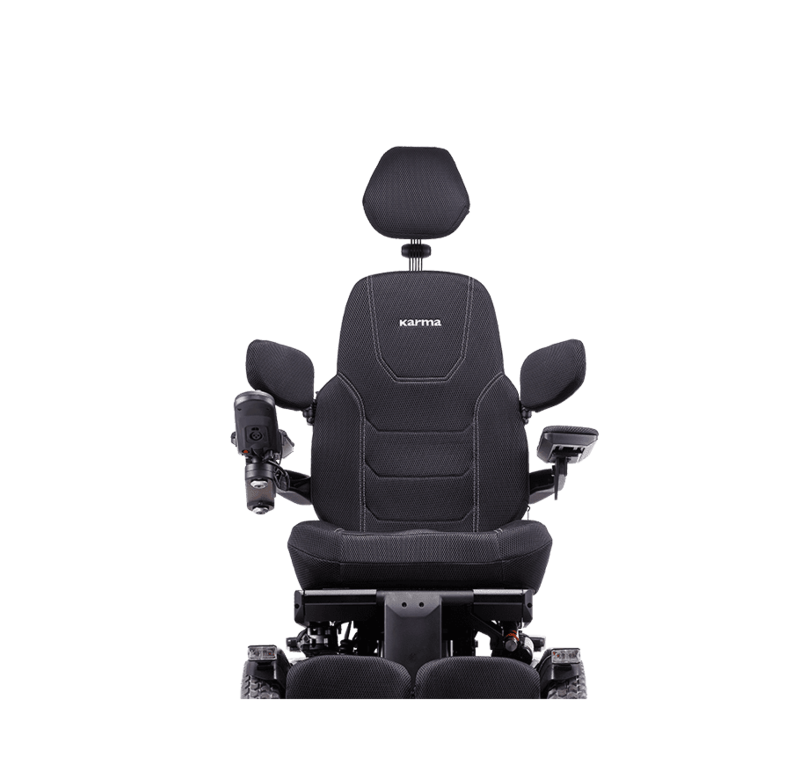 The seat depth, seat width, backrest, as well as the armrests and legrests can all be adjusted. A rail on each side provides mounting points for accessories like hip supports or safety belts. The seat pan is flat to allow for other seating cushions to be fitted on as well. 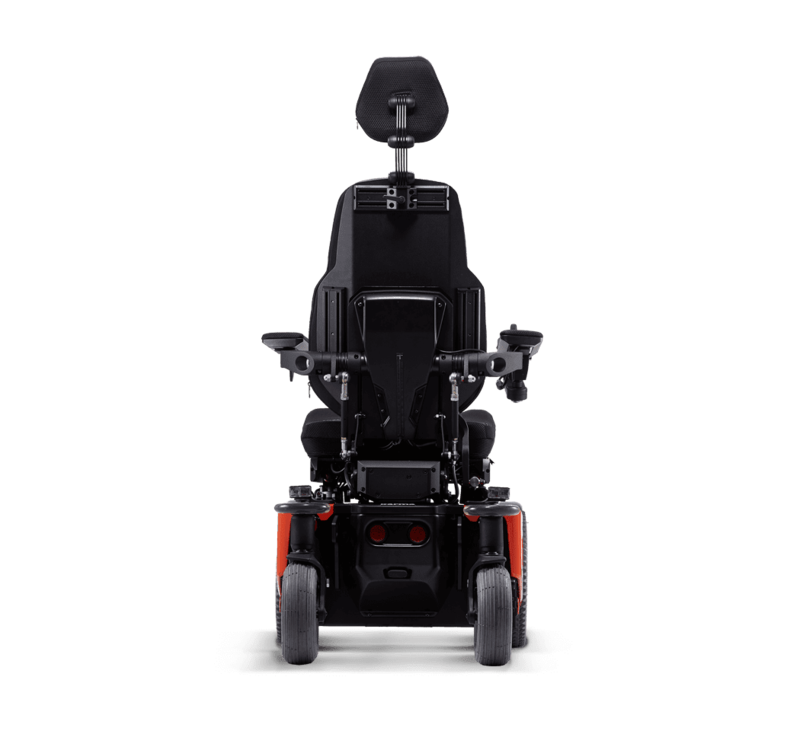 Because it is not always easy to adapt to a new living situation, the EVO Lectus is designed with various biomechanical principles in mind, to help the user with the transition. 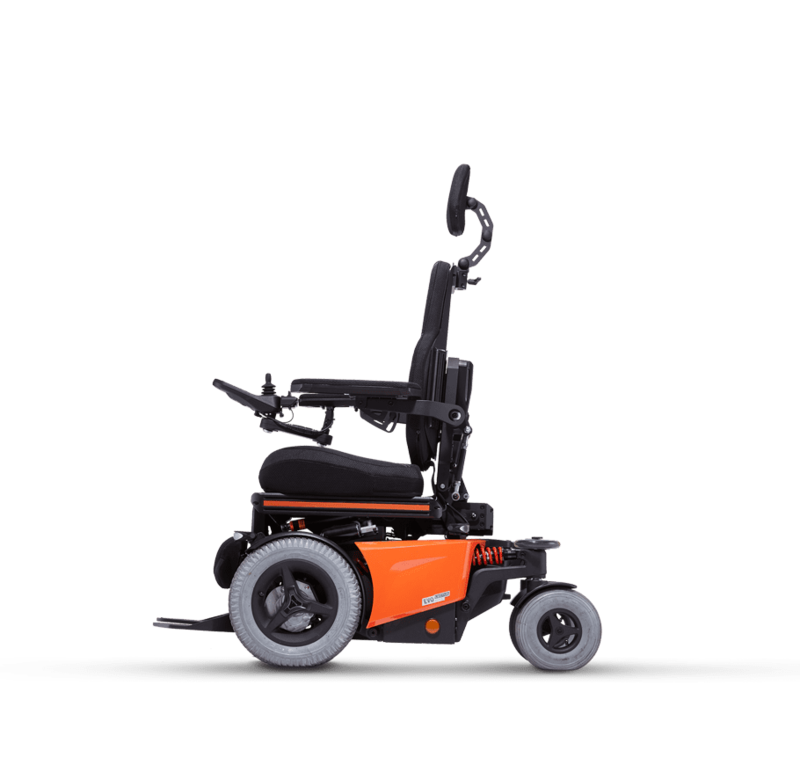 It includes power recline and power articulating elevating legrests. 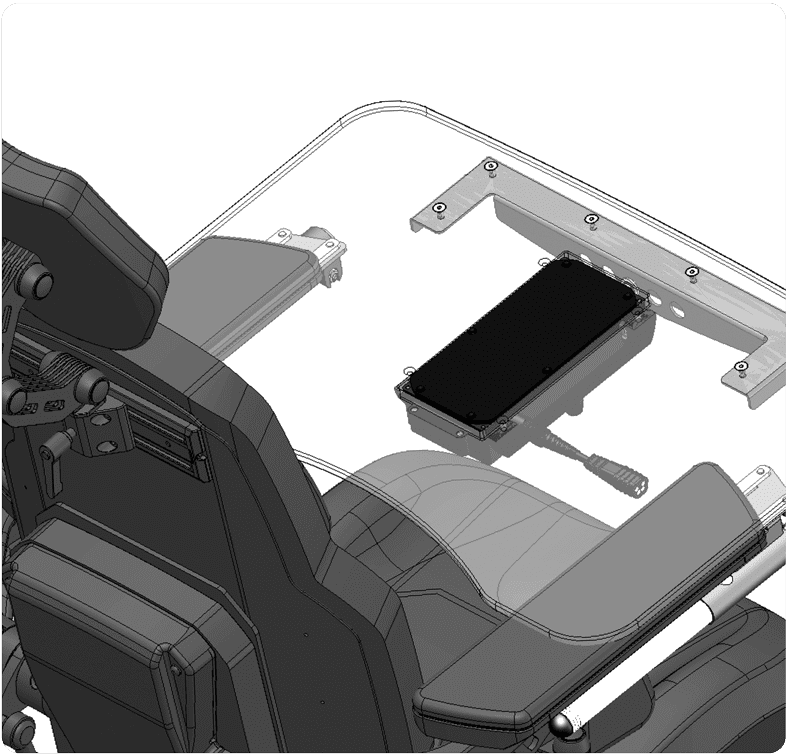 The seat will traverse with the body as the user reclines, thereby reducing the sheer force. Most importantly, it keeps all the supports in the correct alignment with the body. 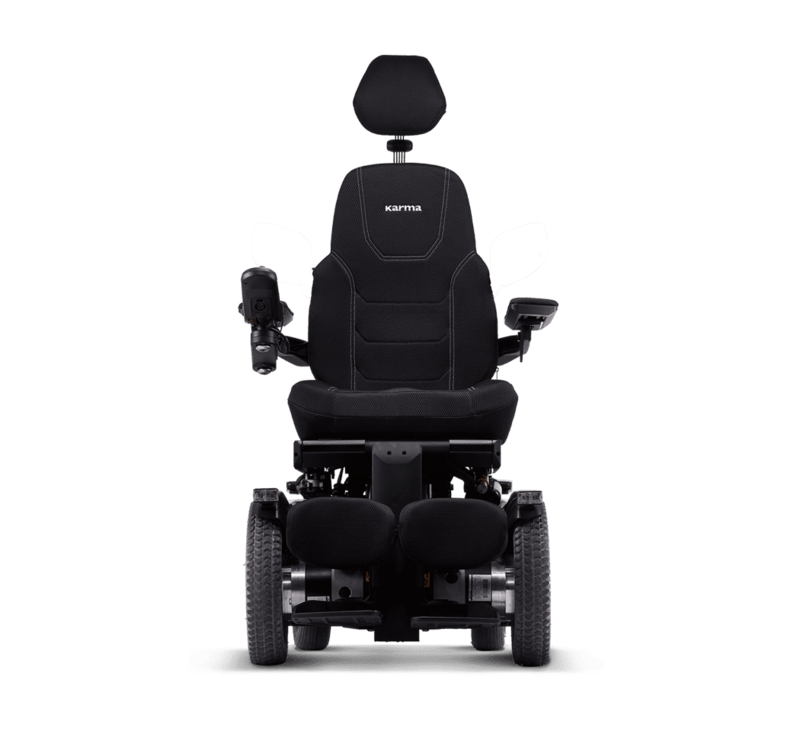 Reach new heights with the power elevating seat. 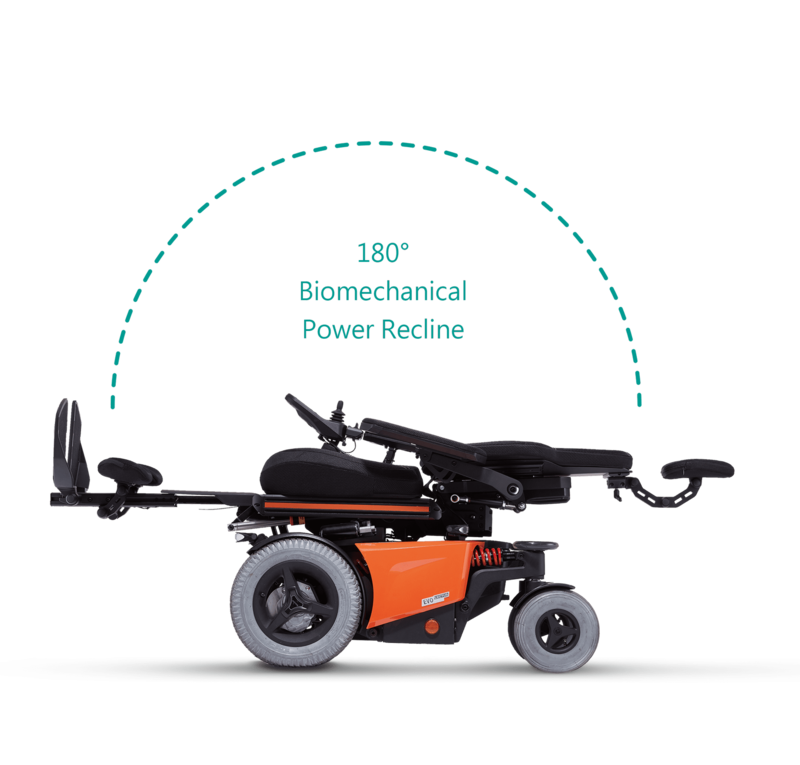 The seat is mounted into the chassis and can be raised stepless up to 40 cm. 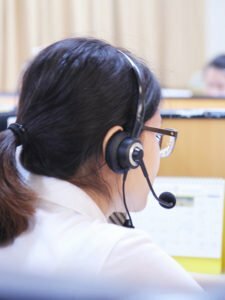 This provides the users with a better view and a better access to their surroundings. 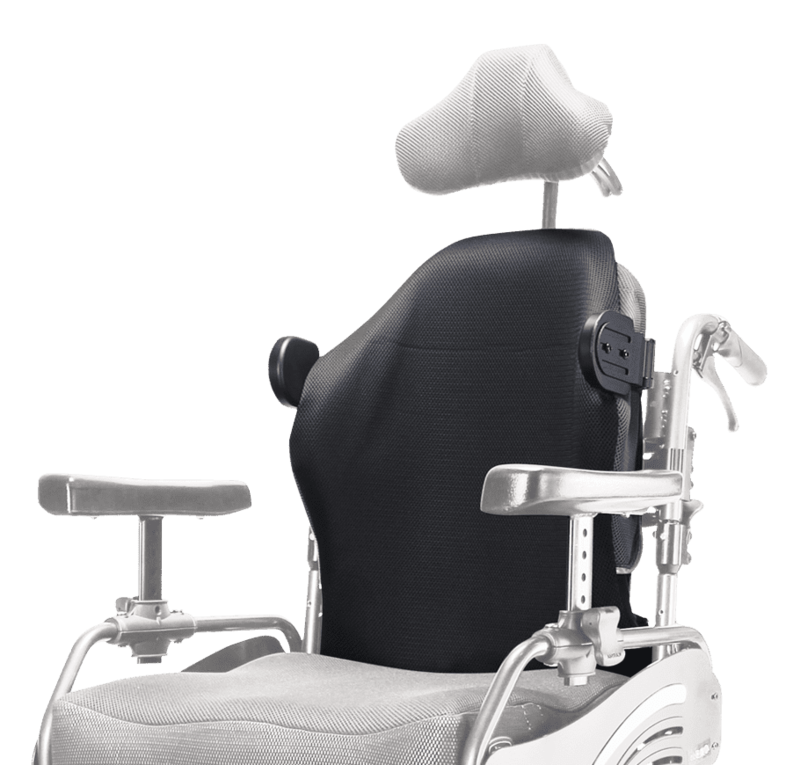 The center of gravity tilt system ensures pressure relief and a high degree of comfort. The tilt can also be used when traveling down a slope to compensate for the negative seat angle. This provides a safer and more stable seating position. The desktop control is a table with a center-mounted build-in joystick module. The table can be flipped up sideways for transferring in and out of the wheelchair. 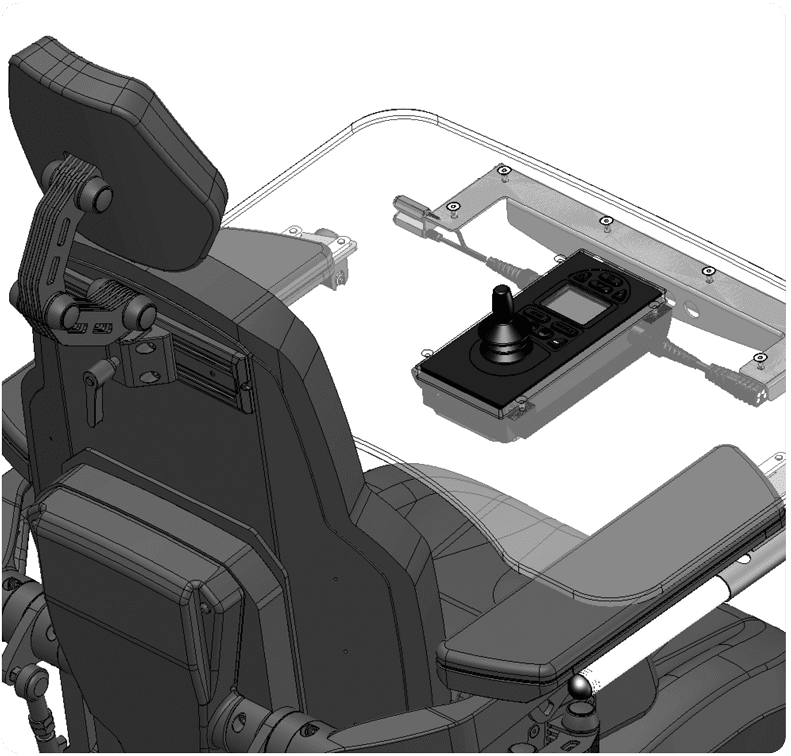 The joystick module can also be flipped up to clear the desktop for use asa table. 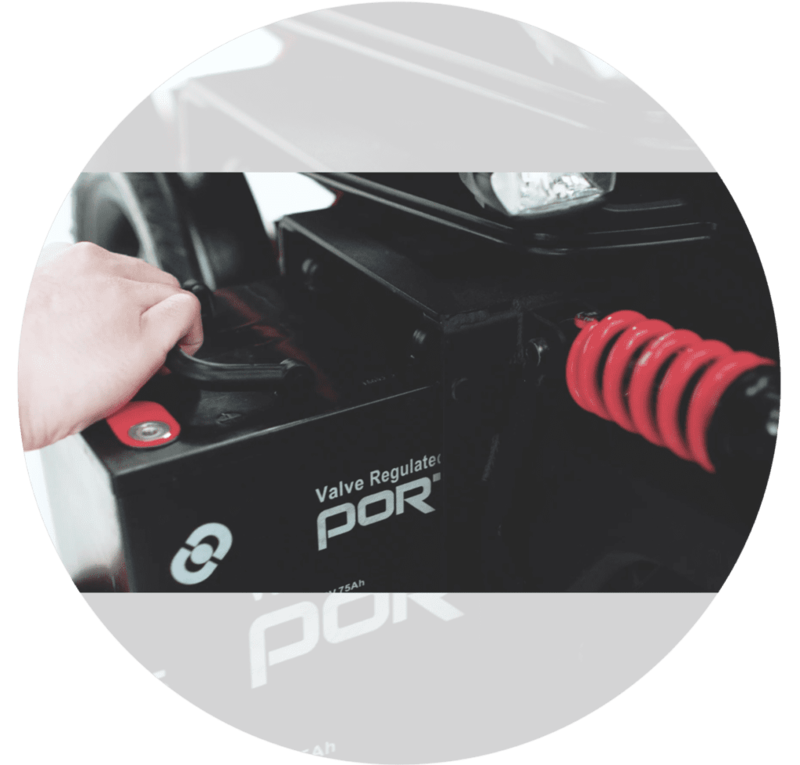 The maintenance-free batteries can be replaced while the user is still in the chair. 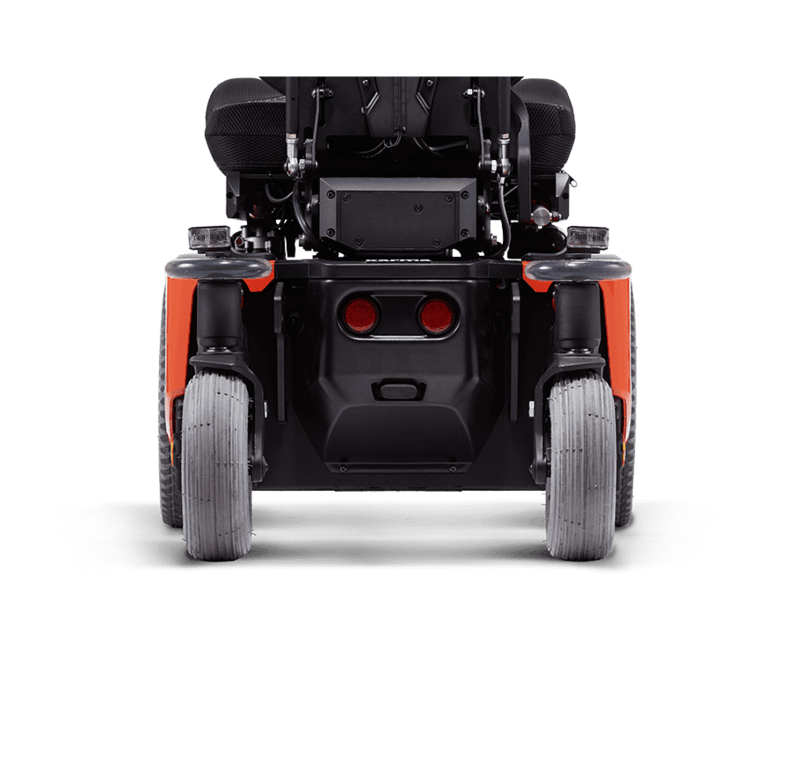 The batteries are mounted as low as possible into the center of the chassis to maximize the stability of the wheelchair. 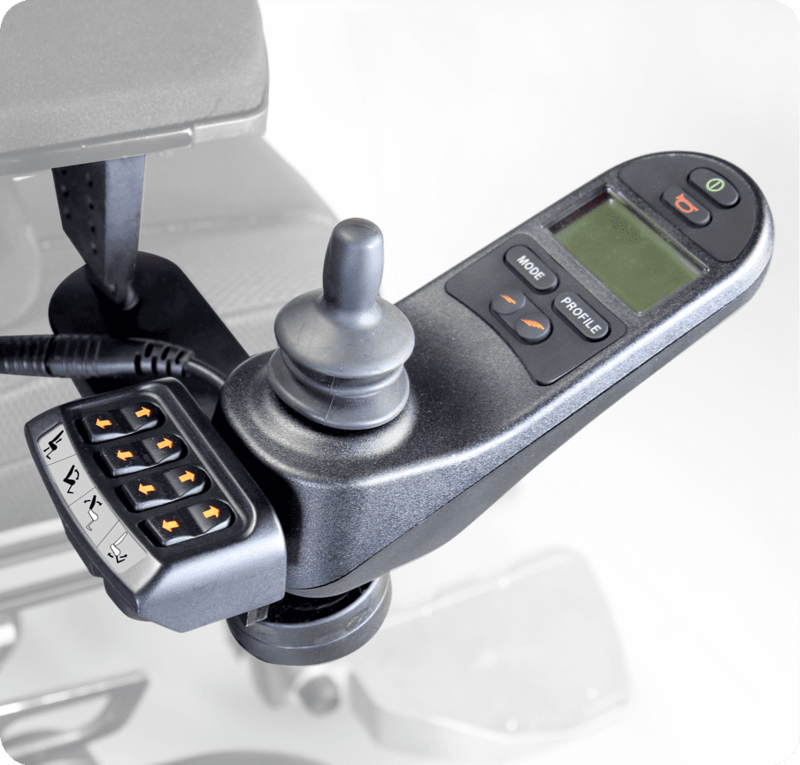 The R-Net-control system comes standard with the EVO Lectus. Operate many electrical functions of the chair using the joystick. 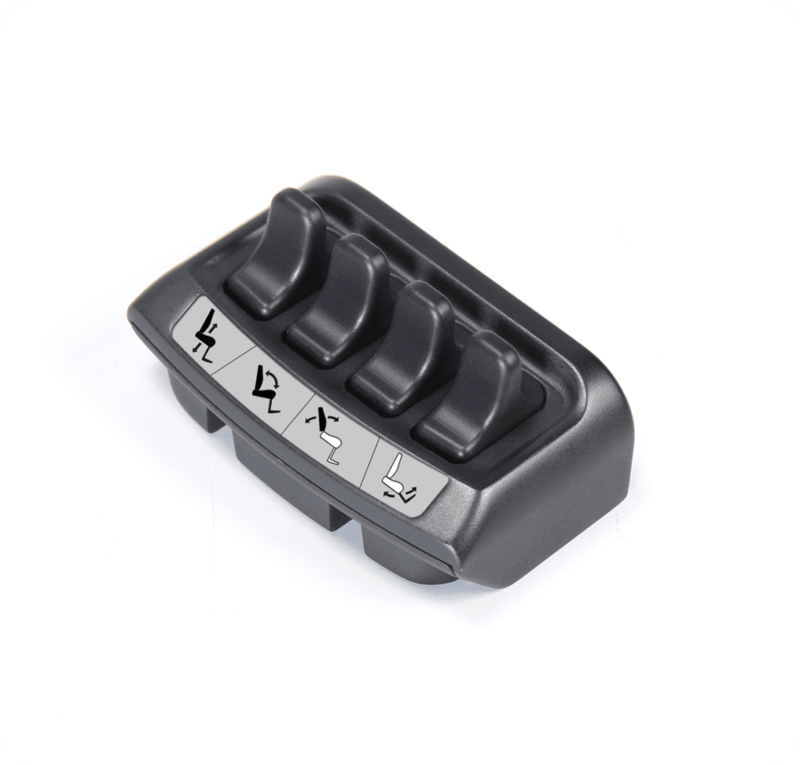 This system also serves as a platform for a wide variety of specialized steering controls such as chin control, head control and switch control. 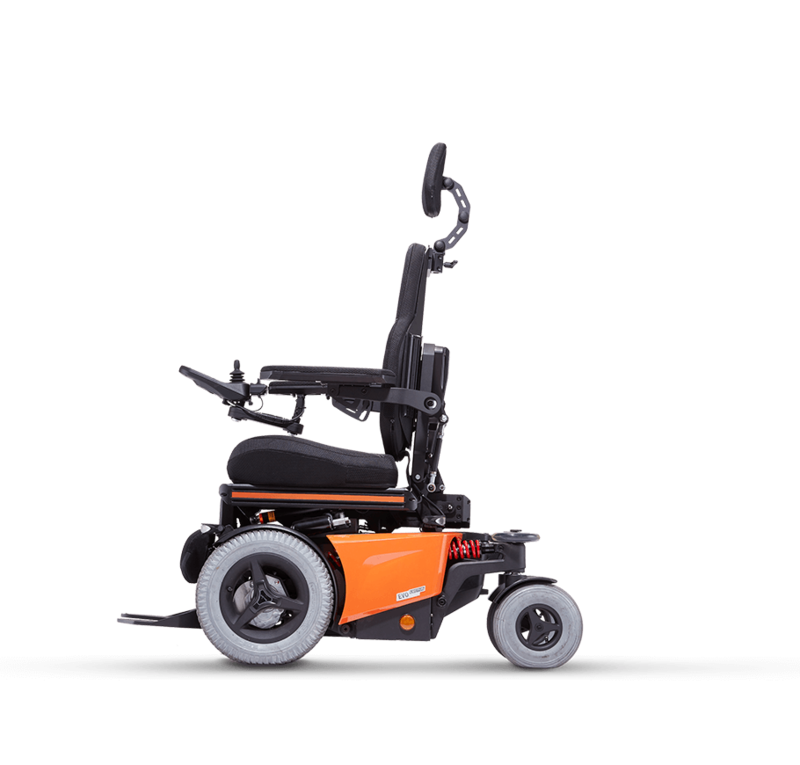 It even has the ability to operate infrared and Bluetooth devices using the joystick with R-Net controls. The things you can do with R-Net control are endless. 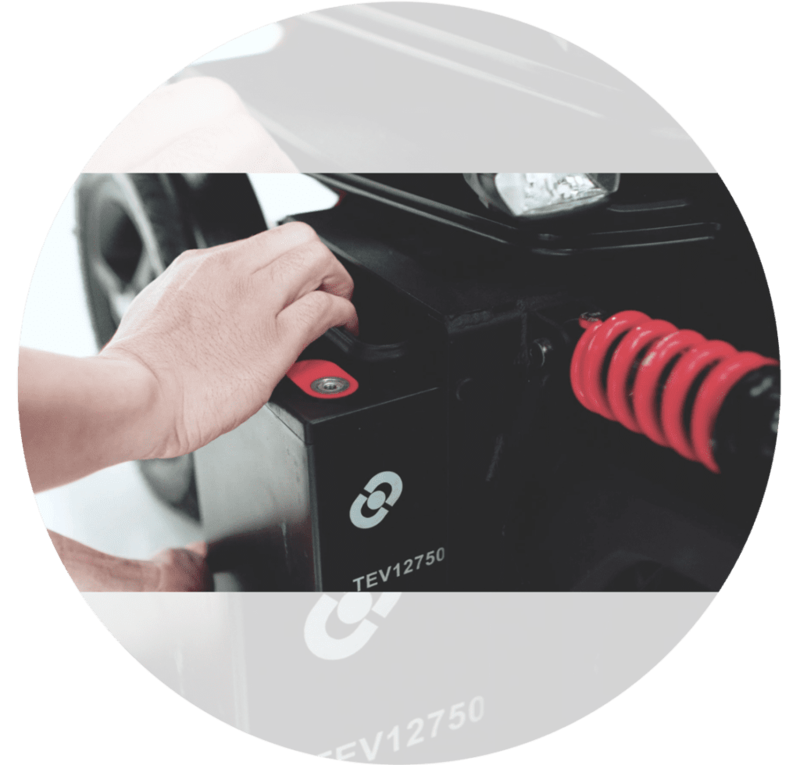 The EVO Lectus is approved for transportation in accordance with ISO 7176-19. This means it is suitable to be used as a seat in a motor vehicle for transportation.